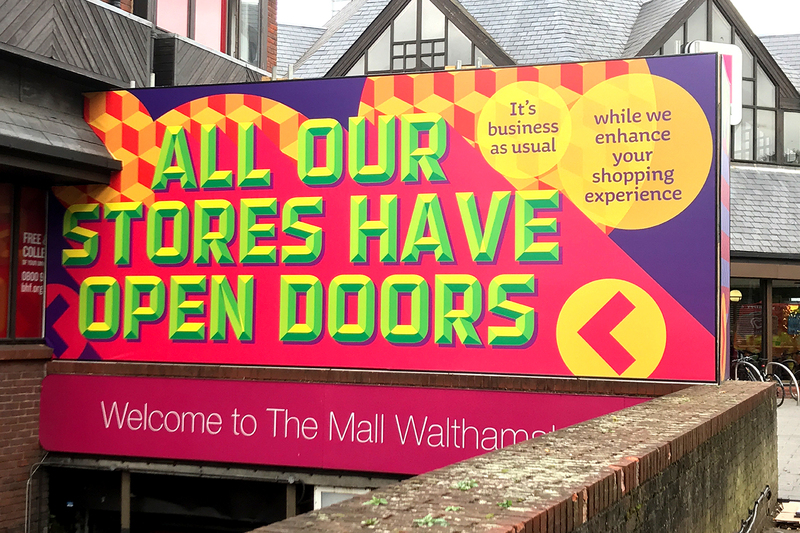 When The Mall Walthamstow started construction work on refurbishments to the front of their building, they saw an opportunity to have a bit of fun and splash some colour around the immediate area. 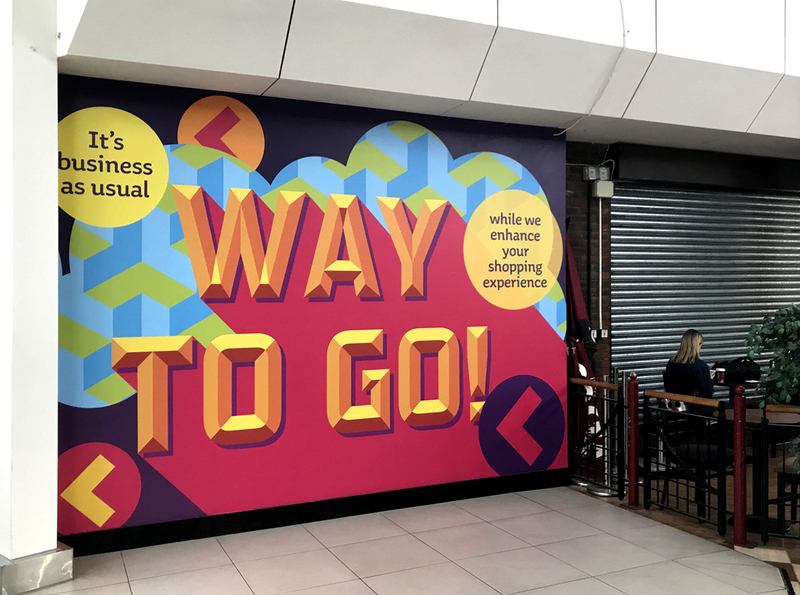 They commissioned us to create messaging and a graphic treatment to the construction hoardings which would not only send the message that they were still open for business, but would also create a sense of energy and optimism about the changes they were undertaking. Walthamstow is an area which is well known for its creative communities, and particularly its street artists. 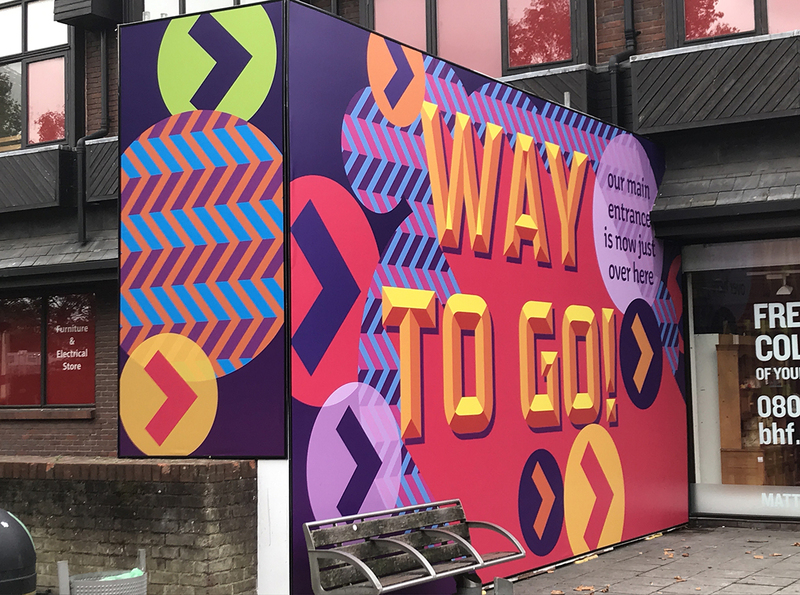 So we drew inspiration from various street art styles to create a vibrant, dynamic and undeniably colourful and positive graphic treatment to apply to the construction hoardings. 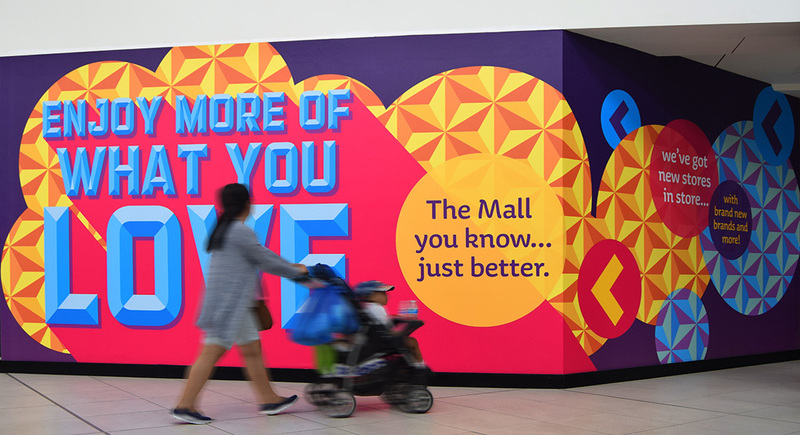 We focused on keeping it fun, but also making sure that we communicated the core message: that the Mall is making changes for the better, and in the meantime its’ existing stores were carrying on business as usual. We also drew attention to the fact that the main entrance had moved…but just 25 yards or so from where it had been. 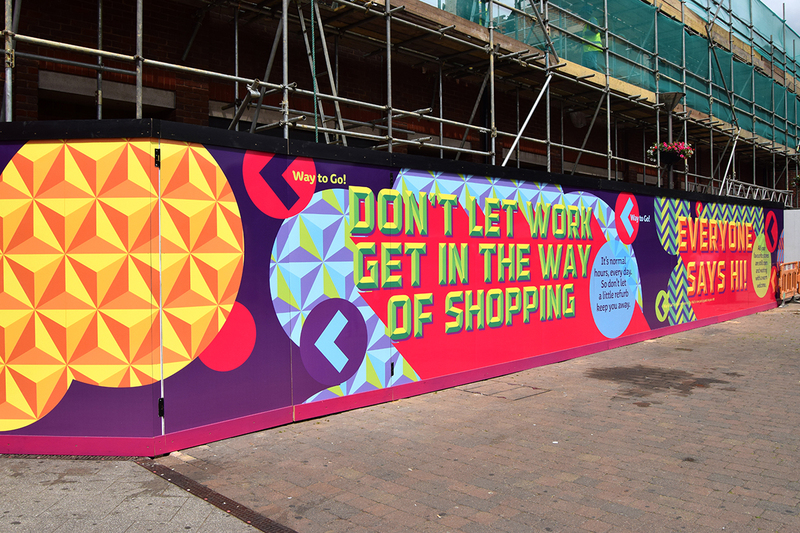 The full range of applications extended to internal and external hoardings and temporary billboard structures.